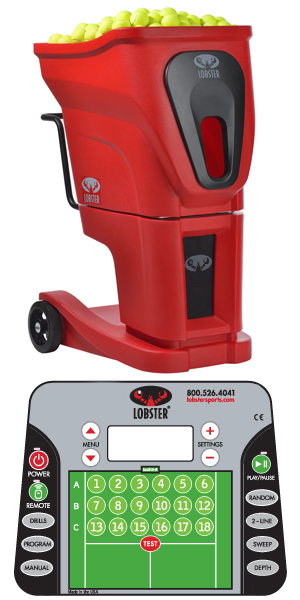 You've got your game on and need an undaunted partner. 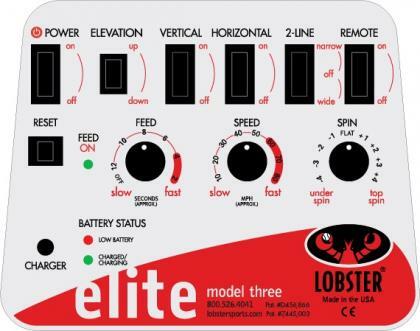 The Lobster elite three boldly accepts the challenge! 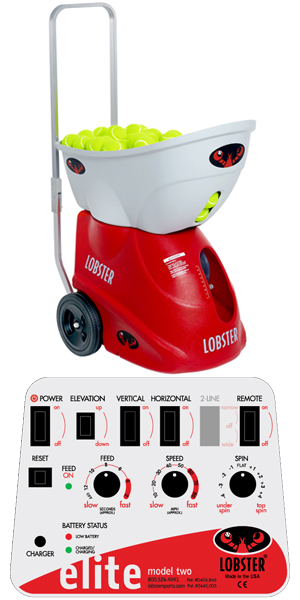 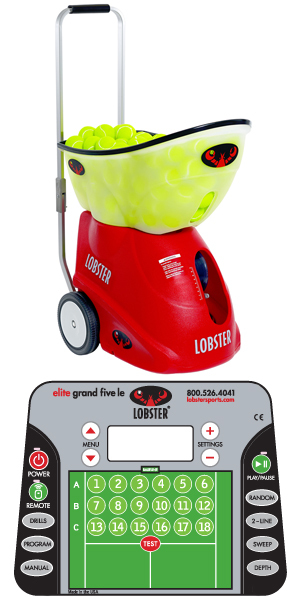 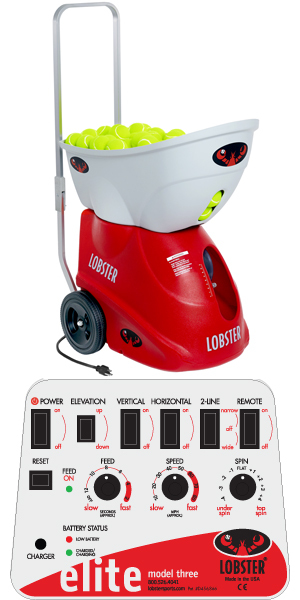 In addition to the unparalleled triple oscillation found on the Lobster elite two, the elite three tennis ball launcher offers a two-line oscillation feature with variable depth. 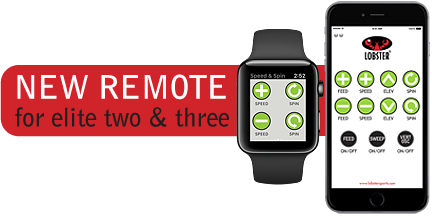 The two versatile pre-programmed options for narrow and wide forehand and backhand, in addition to sweeping triple oscillation, will accelerate your playing abilities. 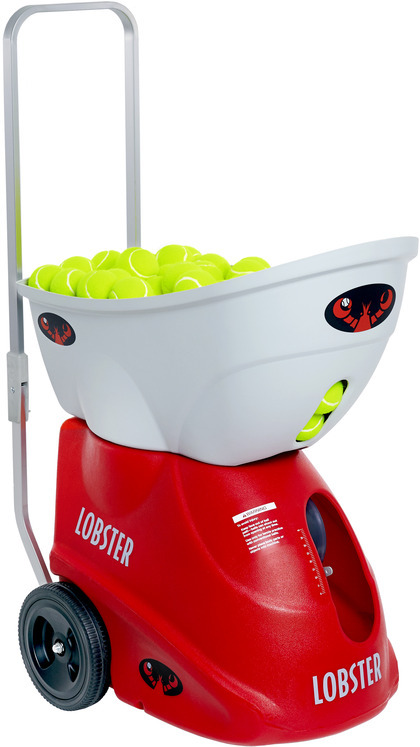 While you're trying to maintain your dignity against the triple oscillation and the two-line drill, the elite three will confront you with up to 60 degree lobs to practice your overheads and smash shots. 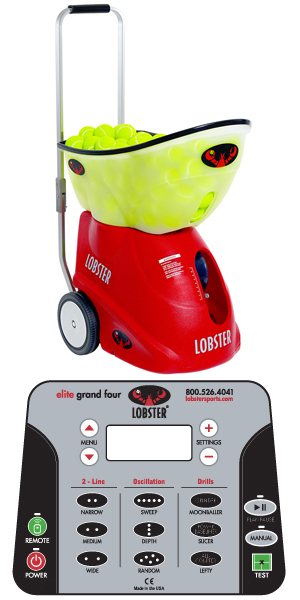 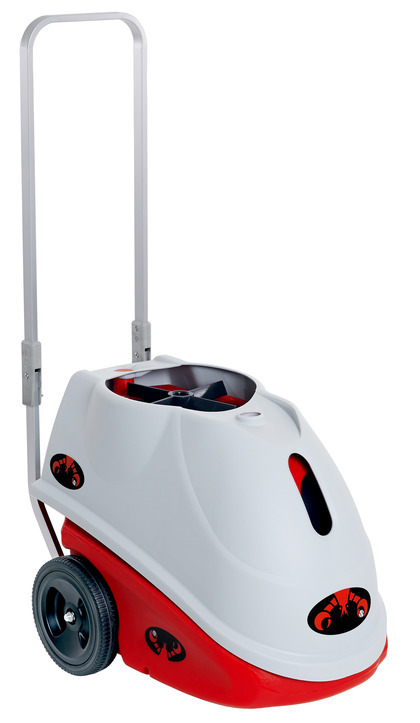 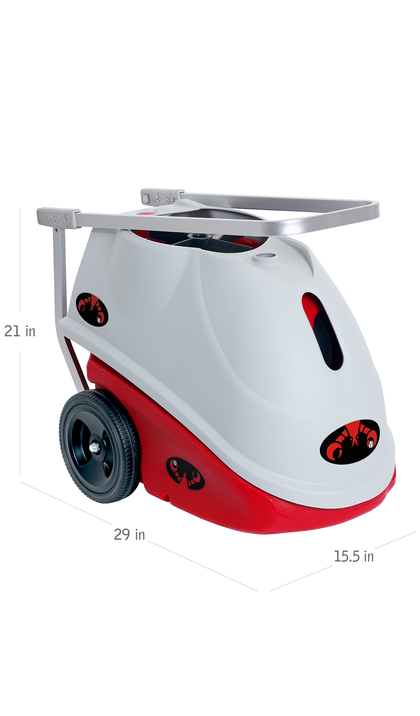 If you are looking for cutting-edge features that resemble a tennis robot, consider our elite grand series ball machines.